"The two most effective healing influences on my life to date are working with the angelic realm and Emotional Freedom Techniques (EFT) tapping. It was a perfectly natural progression for me to combine these two approaches, which work effortlessly together. I discovered that when I tapped, the angel connection came easier. Intuition deepens - and when we raise our vibration, which is a natural result of EFT, we find it naturally simpler to sense and understand the angels. 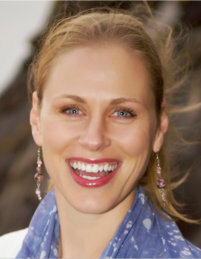 When I started doing tapping videos in 2012 I found that I intuitively incorporated some of the practices I had learned through my angel training. 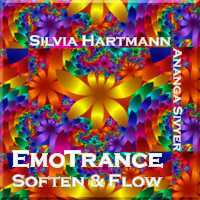 "When I came across Silvia Hartmann’s Energy EFT I found it even more compatible for combining with angel work, as it is slower and more mindful, like the meditative way people tend to connect with angels. The heart healing position, and taking three deep breaths here at the start and end of each tapping round is one way I find this style of EFT perfect for angel work. The positive and empowering set-ups compliment the way I have learned to work with angels. The SUE Scale opens us up to miraculous possibilities and broadens the mind, from just removing a problem, to seeing its polar opposite (the positive) in a way that I feel the angels like to work with us. For this reason, when I say Angel EFT I really mean ‘Angel Energy EFT.’ More about what all of these things mean later, for those who are new to Modern Energy EFT. "I love the angels and have communicated with them for many years. So when Susan Browne asked me to write a foreword for Angel EFT, I was intrigued by the concept. As soon as I started to read the book, I was fascinated by the beautiful way the angelic energies connect with EFT. "I had never fully understood EFT, but with Susan’s simple, clear instructions it was soon obvious to me how it works, and that Angelic EFT is a very powerful technique. The way she puts a positive focus on everything really appealed to me and I soon found myself pausing to practise the various tapping scripts she provides. And I was really surprised at the way my energy quickly felt clearer. Yes, it really works. "I thoroughly enjoyed and related to the case histories Susan shares from her extensive practice. She chooses a wide variety of examples and I shall be using some of them regularly and making up my own scripts. Because of my angel and ascension orientation I was very interested in how to tap in order to connect with the angels, and also to bring and anchor in the twelve ascension chakras. Many people are really helped by an active technique like tapping to link the physical and spiritual, and the angelic realms will use any opportunity to link with us. Angel EFT Review: "Fascinating and Inspirational!" 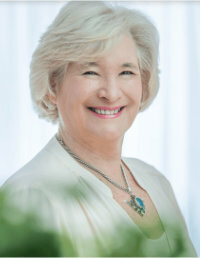 "Susan’s book will appeal to those who are familiar with EFT and energy work and are interested in learning about assistance and support from the Angels, and also to those who know and love Angel work and would like to add Energy EFT to enhance their practice. 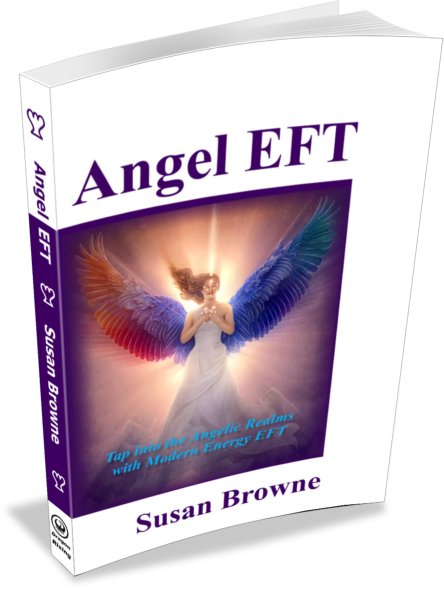 "Angel EFT is a comprehensive and easy to follow primer on both these fascinating topics, informed by Susan’s extensive experience as a Psychiatric Nurse, Counsellor and Energy EFT Master Practitioner, as well as Angel Healing Practitioner. Susan brings down to earth practicality to subjects which are often thought of as “airy fairy” or “woo woo”! Read Helen's full review of Angel EFT here! The inspirational Angel EFT is now available to own as both a paperback book and eBook. Tap the "Buy!" button below to order your copy!